Study highlights that chronic respiratory disease, mainly caused by air pollution, is the second largest killer after cardio-vascular diseases. NEW DELHI: As the national capital region continues to be a gas chamber, most other states are not far behind. There has been a 17 per cent rise in deaths and disabilities due to diseases caused by air pollution across the country, a report titled India: Health of the Nation’s States released here on Tuesday revealed. The report has been jointly prepared by the Union Ministry of Health & Family Welfare, Indian Council for Medical Research and the Public Health Foundation of India (PHFI). The study highlights that Haryana, Delhi, Punjab, Bihar, Rajasthan, West Bengal and Uttar Pradesh reported most cases of mortalities and morbidities due to high levels of pollution in 2016, while Andhra Pradesh, Jharkhand, Maharashtra and Odisha were the lowest in terms of ambient air pollution. 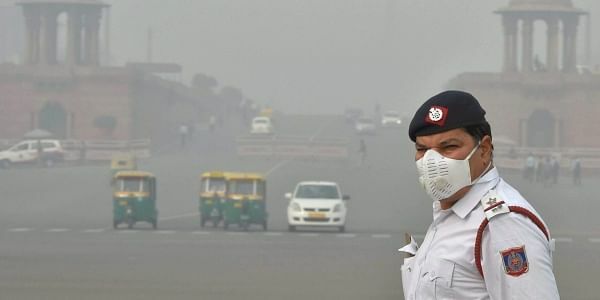 In the worst affected states, over 2,750 cases of deaths or severe illnesses such as non-communicable diseases, chronic respiratory diseases and lower respiratory infections, per lakh pollution were reported last year, the study says. It highlights that chronic respiratory disease, mainly caused by air pollution, is the second largest killer after cardio-vascular diseases. The report confirmed the trend highlighted by several foreign studies last year, which the government had downplayed. A recent survey released by health journal The Lancet’s Commission on Pollution and Health had also thrown alarming figures for India. According to the study, pollution resulted in 2.5 million deaths in India in 2015, the highest anywhere in the world. Amongst the polluting particulates PM 2.5—the tiny 2.5 micron size and smaller particles that can permeate the lining of the lungs and move into the blood stream—is the most harmful, the study says. Household air pollution, caused due to low quality solid fuels used in cooking, which was responsible for 15 per cent of the total disease burden in India in India in 1990, has come out by 9 per cent, the survey notes.